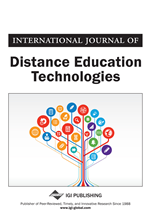 The paper outlines a new paradigm and its underlying rationales for implementing networked learning environments that is emerging from new technologies such as multi-user platform, virtual worlds, virtual learning community, and intelligent agents. The proposed paradigm of the networked learning environments is described as inhabited virtual learning worlds (IVLW), which is a shared learning space in 3-D format and populated with avatars that are the representations of learners who are geographically dispersed around the world. The virtual learning worlds are also composed of objects such as intelligent agents and learning materials. A pilot system is created based on the discussed rationales of inhabited virtual learning worlds. A preliminary empirical study focusing on the selected learning behaviors in young learners also has been conducted with the pilot system. The results of the empirical study and suggestions for enhancing the pilot system are discussed in the closing section of the article.